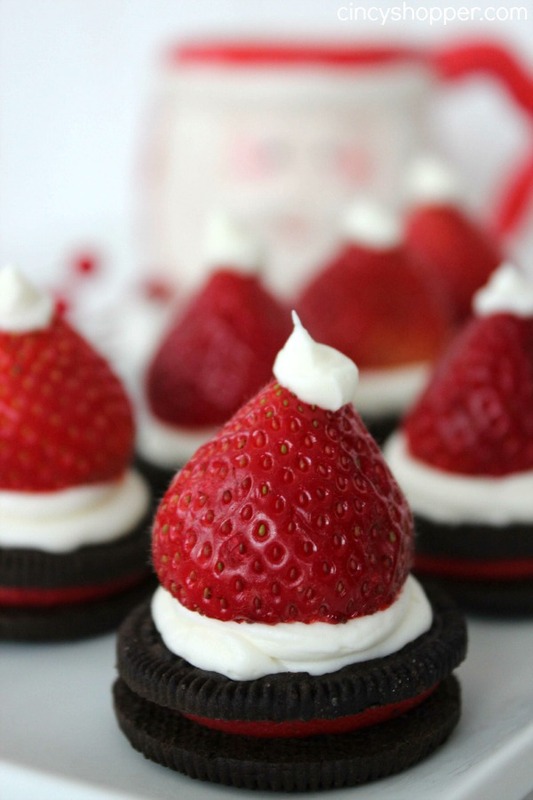 These Santa Hat Oreos are super simple and super adorable for your holiday. 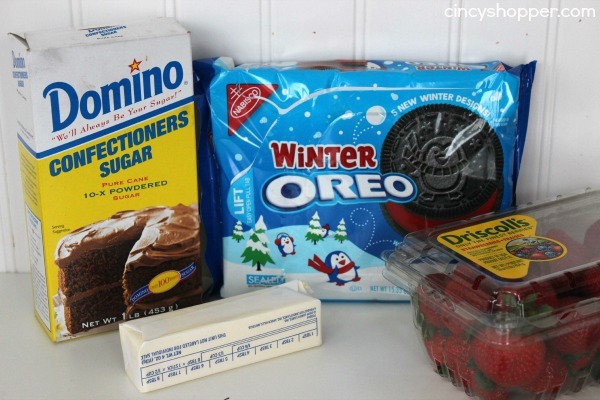 In just a few minutes time you can have a fun dessert for a party or after school snack. Every holiday I look for quick and easy ideas to serve up. Last year I made the fun Strawberry Cheesecake Santas. They were such a popular item on our Christmas dessert table. We had some family arriving for a quick visit over the weekend and I was needing to make something fun for dessert that was quick and easy. 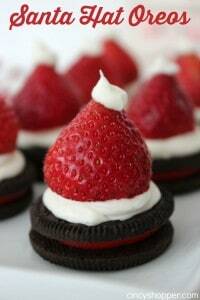 These Santa Hat Oreo Cookies were perfect. The kiddos were super nice and decided to help out with these since they required no baking or cooking. These little Christmas treats turned out so adorable. My daughter even decided to take plate to a friends house for their movie night. 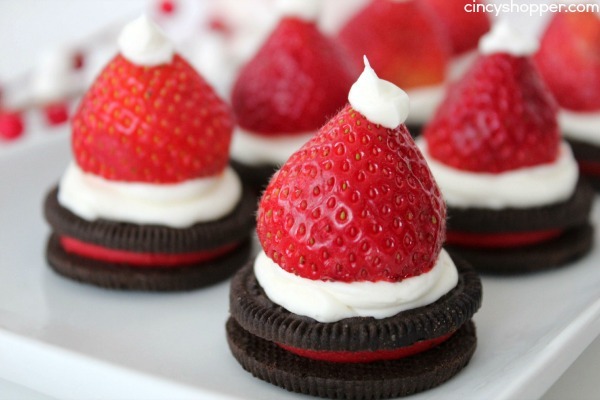 All that is needed for these Santa Hat treats is some strawberries, Oreo cookies, and icing. Super Simple! Wash and remove hulls from strawberries and place on paper towel to dry. 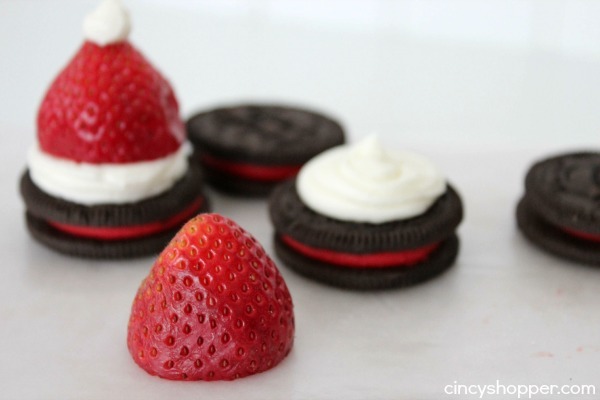 Pipe a circle on top of the Oreo to hold strawberry in place and to make “fur” ring. 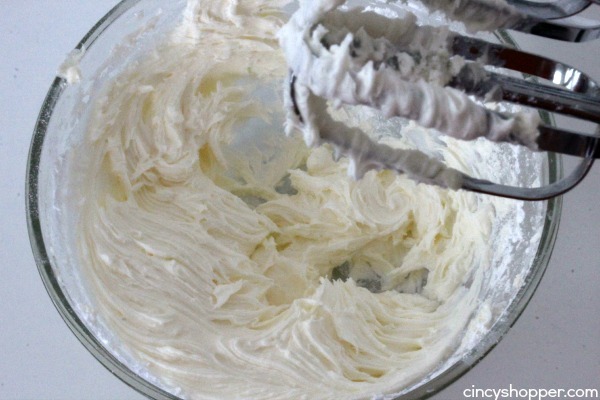 Gently press strawberry into icing. Pipe a fur ball on the tip of the strawberry. These Santa cookies would be great for a quick treat for a classroom party or even an office party! After drying place in freezer for 30 minutes until firm. Pipe a cirle on top of the Oreo to hold strawberry in place and to make "fur" ring.